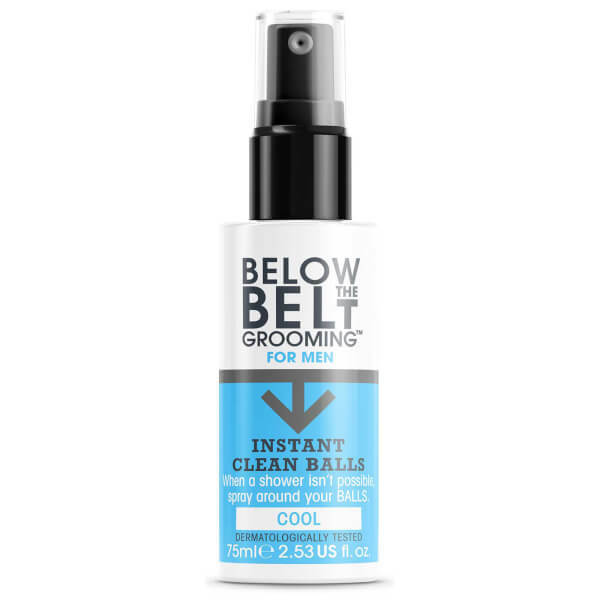 Below the Belt's Instant Clean Balls in 'Cool' is an easy-to-use spray that immediately refreshes your nether regions when there's no time to shower. Infused with an icy Mint and Citrus fragrance, the formula works to keep your under carriage fresh, hygienic and odour-free when time isn't on your side. 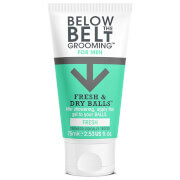 Simply spray around your balls and enjoy its invigorating, tingling sensation. You'll feel fresh, cleansed and ready to go in seconds. Apply whenever a shower is not possible, for an instant clean feeling. I have been using this product along with the Fresh & Dry lotion, and already, RELIEF! No burning and for the first time in weeks I am actually dry down there and not itching. I placed another order and will continue to do so as this product has really earned this customer. Thank you for creating a great product. I have used the cream version of the above which were effective. But I find this spray version very strong as I get a stinging sense on after applying it! Use with care!